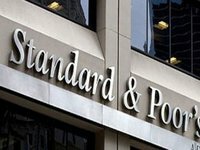 S&P Global Ratings has raised its long-term national scale ratings on Ukraine to 'uaBBB' from 'uaBBB-' and removed the UCO designation from the ratings. "Our global scale issuer and issue credit ratings on Ukraine are not affected by today's rating action," S&P said. On April 20, 2018, S&P Global Ratings affirmed its 'B-/B' long- and short-termforeign and local currency sovereign credit ratings on Ukraine. The outlook is stable.